My husband comes up with most of these titles. He's quite punny. This table was part of a package deal. 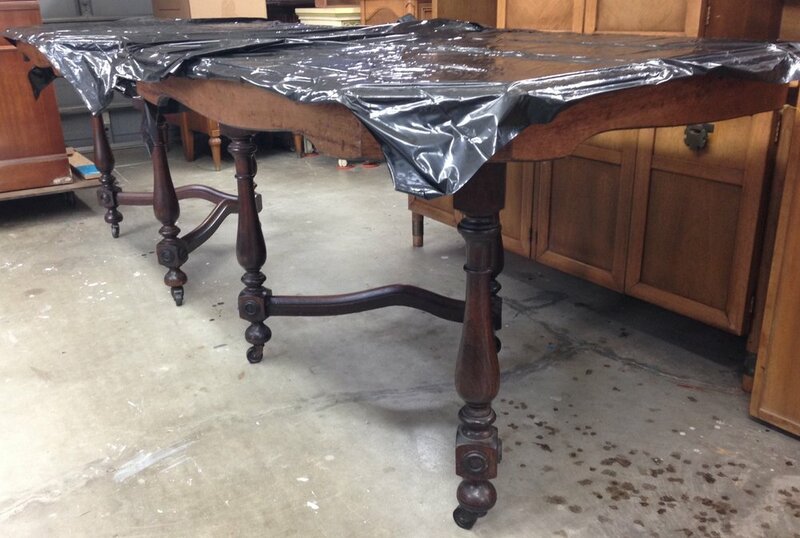 A buffet I spotted on Craigslist that had me salivating came with this non-matching beat-up table. I always think it's odd when sellers refuse to separate pieces (and risk losing a sale), even though the buyer might have no intention of keeping them together. I tend to wonder if the seller intends to visit his pieces someday to make sure they are still keeping each other company. Since I didn't have the leaves, the sliders were useless, so I removed them. 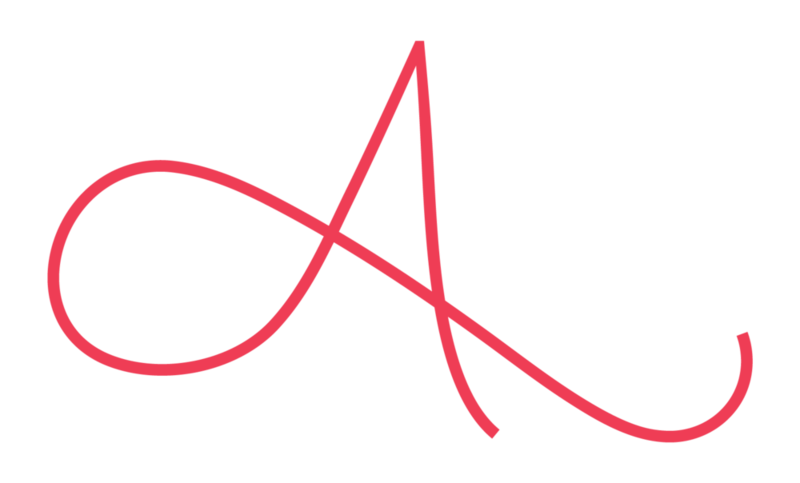 This made the table a little lighter and easier to manipulate. When I put the two halves back together, they dowel into each other and lock with a lever. 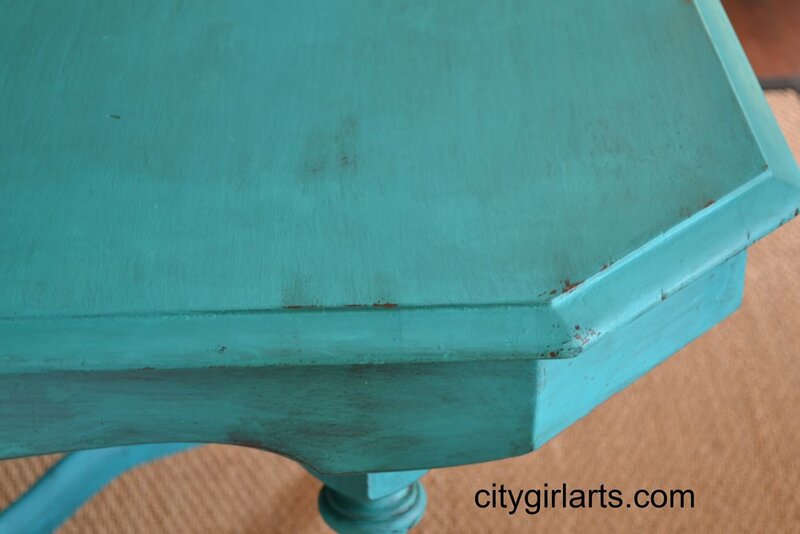 Milk paint was the perfect treatment for this piece. The legs were not oak, and had a finish on them that might resist, so they were rubbed with deglosser. The newly stripped top was very dry, so I smeared tung oil on some of the edges and spots that I hoped would then resist and chip. 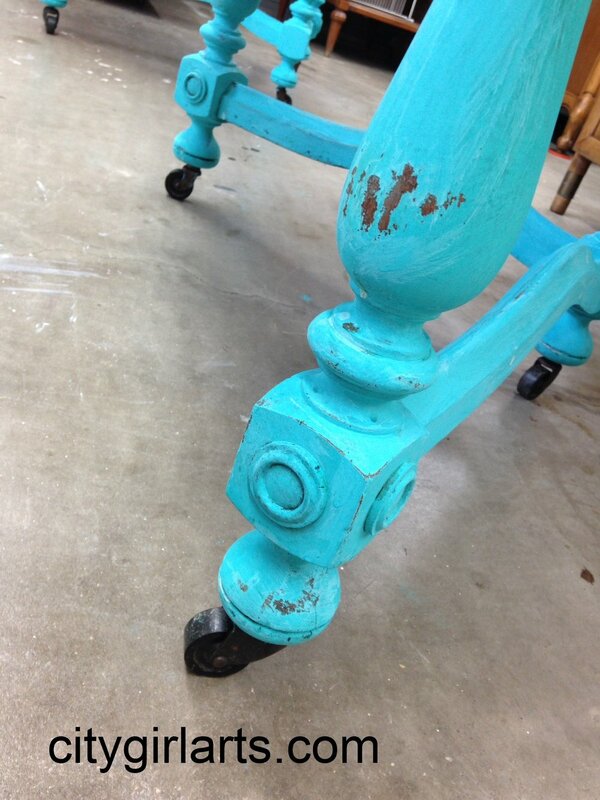 For once, milk paint did what I told it to do. The legs chipped a little and the paint resisted soaking into the oiled spots! This is, to me, the perfect level of natural looking wear. The finishing touch was tung oil, which actually gives the top some water resistance. More than that, though, it mellows the color and deepens it, darkening the wear spots as well. Makes it look like it's always been this color, and certainly not a turkey anymore. Your comments are always welcome, and I generally reply by email. This gorgeous table is in my shop. I'm on facebook, of course, for more daily adventures. Thanks for visiting!